Arrive at your next event in style just like movie stars and royal people do for the most unforgettable occasion in your life. Enjoy a majestic treatment when you ride a luxury limousine for hire in Melbourne. There are many limousine services for hire but only one rings a bell, when you say limousine hire Melbourne — Image Limousines is the best choice whether you are looking for a stretch limo or airport limo hire in Melbourne. We have tailored offerings to cater to the different limo needs of our clients and a variety of limousine services are available to satisfy our customers. Our professional services will bring you to your destination elegantly around Melbourne. Image Limousines is capable of driving you to your event smoothly, be it weddings, birthdays, formal balls, hens night, special occasions, winery tours, airport pickups and drop-offs, and various other tours in-and-around Melbourne, all within your budget but with top quality transportation. We will do the job with ease and comfort to satisfy you and we guarantee to give you a luxurious ride, one you will never forget. 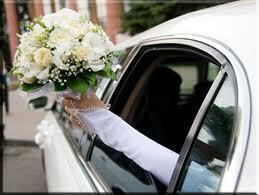 A variety of luxurious wedding limousines of your choice awaits you on your most special day. Organising a hen's party, have you considered hiring a limo and arriving in style? Impress your business partners, clients, family or special someone with an airport limo hire. Plenty of life’s moments call for stylish arrivals. If you agree, then you’ll be happy to know that Image Limousines provides the best. Explore your options for luxury with our impressive fleet of Chrysler limousines. When you do, you’ll understand why we guarantee our clients a ride in style to your event location in Melbourne. Whenever a booking is made for our services, we promise our clients a timely arrival, in a classy and memorable ride. We cover special occasions such as weddings, birthday parties, hens nights, buck’s nights, business events, graduations, prom nights and plenty more! Image Limousines boasts a wide range of limousines you can choose from. We provide wedding limos, wedding cars, and other luxury stretch vehicles for hire in Melbourne to guarantee your satisfaction. We are the number one choice in Melbourne when it comes to limousine hire companies. We offer tailored limousine services that can suit your needs especially the budget and we highly consider your comfort. All our drivers are licensed, professional, experienced, trained and skilled to drive a limo. Image Limousines boasts a team of skilled drivers who are committed to excellent work ethics and quality service. They will ensure a grand entrance for your arrival, which gets you to your destination on time. It will impress you to know that all our drivers dress to impress. With this in mind, we aim to have you feeling like royalty – a king or queen making their way to the ball. It’s time to make your occasion one to certainly remember, with VIP treatment you’ll get from Image Limousines! You can go right ahead and book with us from corporate to formal limos, we got it all at an affordable and cheap price tailored fit for your needs! Consider riding in one of Image Limousines’ luxury vehicles and experience the finest first-class limousine hire in Melbourne. With all our services are fully-insured, and maintained at the highest of standards, you’ll see how we provide well-maintained vehicles that can fit up to 14 or more people. 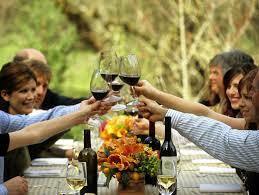 If you are going out as a group, a limo hire is a perfect choice to get the evening started with your friends. As our fleet and chauffeurs are available 24/7, should you need one right away you can always call our friendly customer service staff to assist you. We make each limousine service personal for every customer. You’ll soon see how we keep our clients happy by checking on their needs, so as to ensure a comfortable ride to their event. Our team will list all possible itineraries for you, so don’t hesitate to present your own. We are flexible enough to cater to your needs. Our chauffeurs focus on your needs, and can easily adjust to any changes to the schedule or plan. Whenever you need an exceptional limo hire in Melbourne for any occasions or events, our services are sure to leave a lasting impression. From the moment of pick up until your arrival, you can be sure of a world-class experience! Image Limousines guarantees professional, reliable and efficient services that are perfect whether for private or corporate use. Sit back, relax and enjoy the smooth ride! There’ll be no need to hail a cab or drive a car. Forget about having to rush around either, as we always make sure our drivers arrive an hour early. All it takes is just one phone call to book an Image Limousine, and you’re good. Given the tight competition in our industry, you should choose an excellent service with value for money. Only Image Limousine is sure to offer this. Give us a call for a comprehensive list of vehicle and the type of service we offer. We offer luxury limousines for the grandest day of your life. Whenever you ride with Image Limousines, you can relax and forget any worries and enjoy the day! For anyone seeking limo hires in Melbourne, our aim is to provide our clients with the highest quality service and that includes excellent customer service. As we pride ourselves in delivering a service that our clients can continue to rely on, our services begins with our team ensuring that our luxury vehicles arrive promptly, to get you to your destination on time. During the journey, our team does its absolute best to ensure a relaxed atmosphere, so your ride is as enjoyable as it possibly can be. There’s plenty of good reason why we are known as Melbourne’s leading limo hire company. With over 20 years’ experience, we provide our clients with a top-of-the-line limousine hire service that is unmatched by other companies. We understand why you deserve a limo ride that radiates comfort and luxury. See how you’ll be spoilt for choice, with prestige vehicle hire packages like a limo hire for an airport transfer, limousine for a Hen night, limo for a wedding, limo hire for a casino, and limo party among other options to ensure you arrive in style. It will please you to know that all our professional chauffeurs are friendly, approachable and accommodating who know their way around Melbourne. 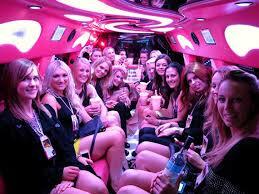 Our experience makes us surely one of the premier stretch limo hire companies in Melbourne. We will accommodate your trip requirements with professionalism and the luxury you deserve. Contact us for the most professional limousine hire service Melbourne has to offer. Our reliable service means you can travel from point A to B in style, comfort and convenience with wow factor guaranteed. I just wanted to say a huge thank you for Sunday. We felt very privileged to have you there in person – and you just looked after us all so well. We loved your car, and the service you provided was outstanding. We’ll be recommending you to everyone who’s after a limo in Melbourne! All the best and I’m sure we’ll be in touch again at some stage. Hi George, I just wanted to say a BIG thank you for making our weekend even more special with your service. The limo was beautiful, Tim was so surprised!! It was a very special way to start our romantic weekend. I will surely look you up if we are back in Melbourne again. Just a note to say a huge thank you for taking care of our debutante girls and guys on Friday 6th September. They spoke of your driver highly and felt very safe and comfortable in the limo they hired. I will recommend you to anyone in the future. Your car was amazing and the kids had a great trip to Ivanhoe. A range of luxuriously appointed wedding limousines with various seating capacities to cater for a wide range of requirements and events. We have twenty years experience owning and operating our limo hire company, so let us take care of you on your special day. We offer a personalised service with attention to detail like no one else. Requests can be made and we will endeavour to satisfy any need. 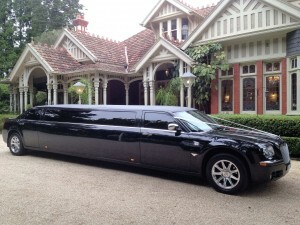 We are the market leading luxury limo hire company in Melbourne, servicing all areas. We own and operate our fleet of premium limousines and are sure to be focused on providing you with an outstanding experience when you hire a limousine from us. Send us your details and we will contact you about your Limousine requirements.